What Victoria Harr began as a letter to her grandchildren, turned into her first book called Spiritual Gifts, A Grandmother's Legacy to Her Grandchildren. Motivated by the hope that her readers will yearn for knowledge about their own spiritual gifts, she shares with both vulnerability and practical insight some of her personal supernatural experiences relating to the gifts of the Holy Spirit. Her heart's desire is to see individuals, families and churches transformed by the blessings promised in scripture when they discover and use their spiritual gifts in ministry. She guides the reader through a process of differentiating the gifts of the Holy Spirit from temperament, personality, natural talents and learned abilities. She also clearly explains the differences between the fruit of the Holy Spirit and the gifts of the Holy Spirit. Examples of Biblical characters displaying their spiritual gifts are woven within each of the 23 gifts. The book also includes a spiritual survey to help readers identify or confirm their motivational spiritual gift(s) and begin using those gifts in ministry. The book's format lends itself to being used for an individual's personal reading as well as a study/workbook for groups. "I believe my calling is to help Christians identify and experience all the gifts of the Holy Spirit, not just a select few. Sadly, throughout my life's journey, I have observed that most people either are not taught, are confused about, or are fearful of these wonderful gifts, and therefore are missing out on blessings. Not wanting my grandchildren to miss out on discovering and using their unique gifts, I began writing a letter as my spiritual legacy to them. I soon realized that over the years I had experienced, and therefore wanted to pass on, more than a letter could contain. By discovering and experiencing your gifts, I believe you will encounter indescribable joy in your walk as God surprises you when you least expect it." Her second book, A Grandmother's Life, as Told to Her Grandchild, is in a completely different format than her first book because YOU are the grandmother telling her story. 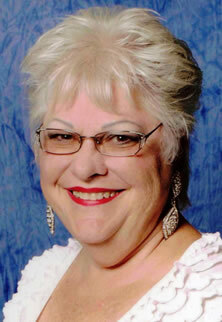 It is a fill-in-the-blank grandmother's book with an emphasis on your very own spiritual journey. Her third book, Single Mom??? What Now??? 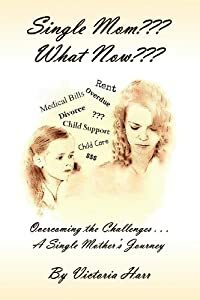 was birthed out of a burden for single mothers as a result of Victoria’s own personal journey. See more about Victoria, click here.